Agathis robusta, first described by (C. Moore ex F. Muell.) 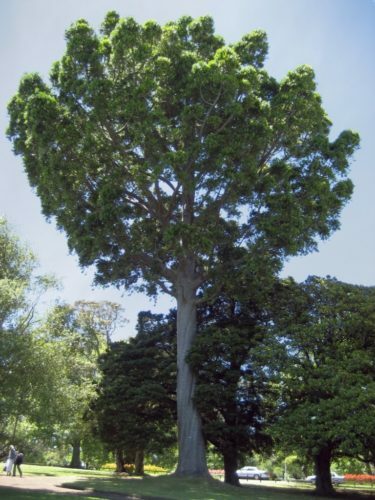 Bailey in 1883 is commonly known as Queensland Kauri or Smooth-barked Kauri. Description. Queensland kauri is a monoecious, evergreen coniferous species of tree which will grow to a mature height of 100 to 165 feet (30 - 50 m) tall, with smooth, scaly bark. 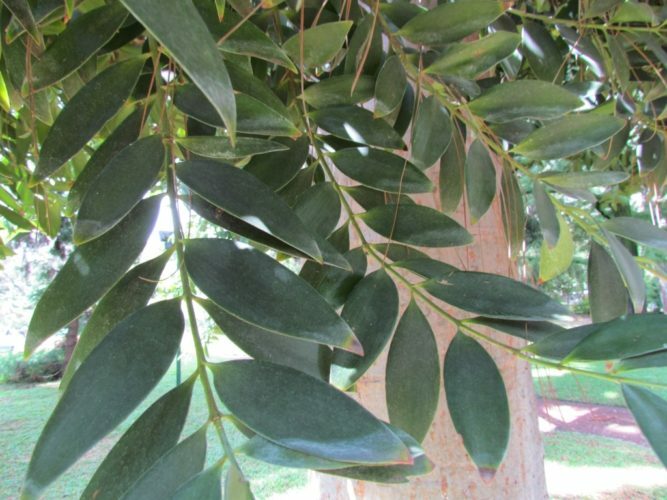 Its leaves are 2 to 4.8 inches (5 - 12 cm) long and 1.2 to 2 inches (2 - 5 cm) broad. They are tough and leathery in texture, with no midrib. They are arranged in opposite pairs (rarely whorls of three) along the stem. The pollen cones are cylindrical, 2 to 4 inches (5 - 10 cm) long and 0.4 to 0.6 inch (1 - 1.5 cm) thick. The seed cones are globose, 3.2 to 5.2 inches (8 - 13 cm) in diameter, maturing 18 to 20 months after pollination. Once mature the cones disintegrate, releasing seeds. Distribution. This species is native to Australia — eastern Queensland. Its southern population can be found on Fraser Island and around Maryborough, and a northern population on the Atherton tableland west of Cairns. The northern population was formerly distinguished as Agathis palmerstonii, but according to studies done by Whitmore (1980), it does not differ from the southern population and is no longer considered distinct. Trees in Papua New Guinea previously referred to A. robusta are now treated as a distinct species Agathis spathulata (de Laubenfels 1988). Also found in Western Australia. 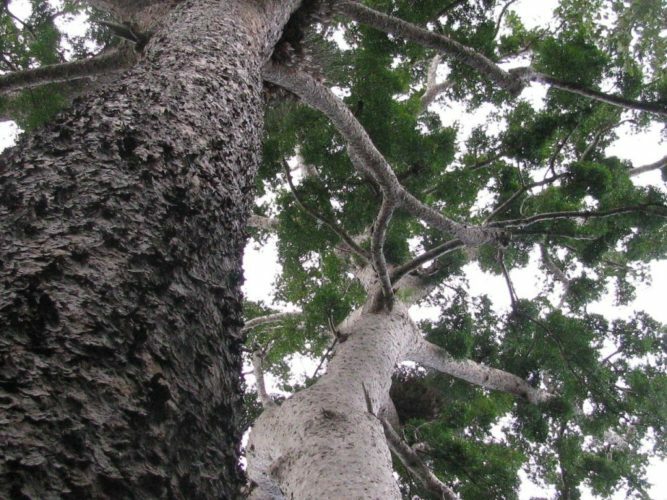 The Queensland Kauri was heavily logged in the past, and spectacular trees of prodigious size are much rarer than in pre-European times; despite this, the species as a whole is not endangered. South Queensland Kauri (Agathis robusta) in Auckland Domain, Auckland, New Zealand. People walking near the base of the tree provide an idea of scale. 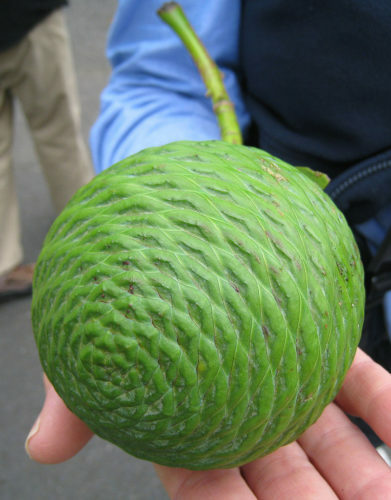 Agathis robusta cone. Cultivated, Melbourne RBG, Australia. 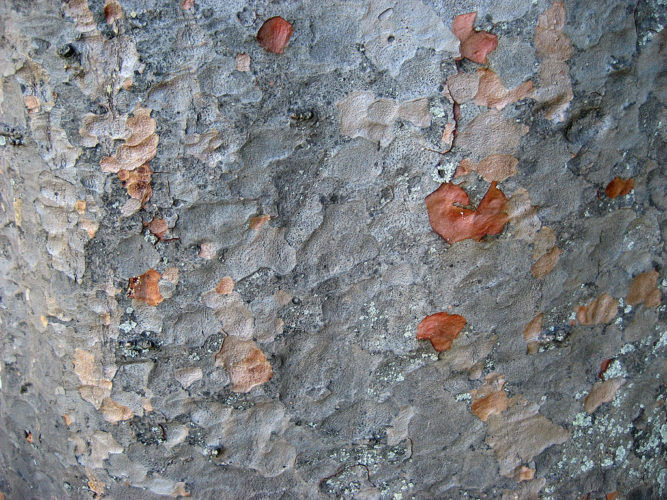 Bark of Agathis robusta, Auckland, New Zealand. Agathis robusta — a closeup fo foliage detail, at Jardin Botanico Carlos Thais, Buenos Aires, Argentina. I have one in Sonoma County CA (zone 9b) that has been in the ground for about five years and is doing well.